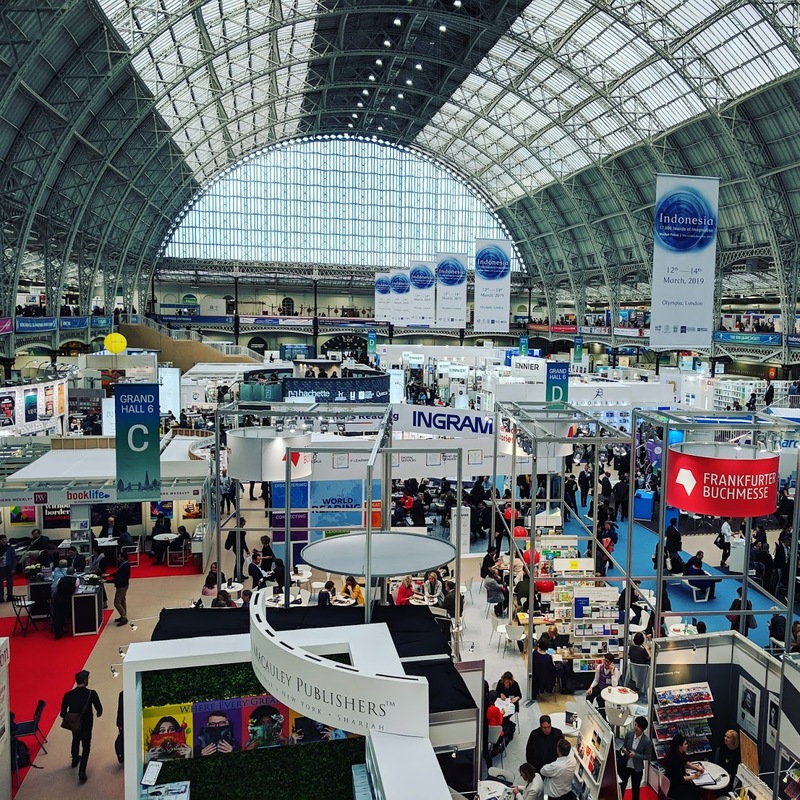 The London Book Fair is the global marketplace for rights negotiation and the sale and distribution of content across print, audio, TV, film, and digital channels. Authors, talent scouts, editors, designers, and digital gurus all walk the floor – meeting, talking, observing, discovering. The Fair welcomes over 25,000 professional visitors from more than 118 countries. And it was a hubbub of activity and buzz as promised! 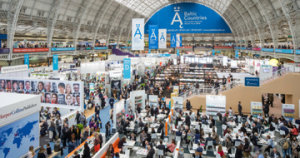 I have attended several Book Expo of America shows, but have never experienced the palpable excitement that was in the air at LBF (more on that below). 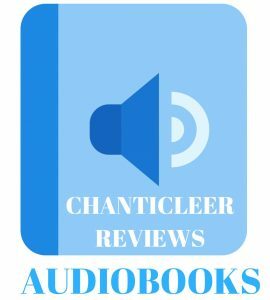 Orna Ross, the CEO of The Alliance of Independent Authors (ALLi) that is based out of London, Great Britain, invited Chanticleer Reviews to join them at their booth at LBF 2019 when we were both exhibiting at the Digital Book World conference last October 2018. 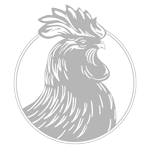 Chanticleer Reviews is proud and honored to be a vetted Partner Member of ALLi. Since the Chanticleer International Book Awards receive many submissions from the United Kingdom and Australia, I thought that this would make a grand opportunity to meet some far away (from Bellingham) Chanticleerians in person and to make new Chanticleer friends. So Andy (my husband and CTO of Chanticleer) and I packed up a smidgen of our usual booth and headed to London on the 9 hours and 50 minutes non-stop flight from Seattle, Wash. London Book Fair here we come! IS that it seems to be much friendlier and supportive of Indie authors and especially so of small-to-middle presses and publishing houses. Yes, the BIG 5 were there along with all of the major players, but they did not completely overshadow the Indies. ALLi’s exhibit space was located in an area called “Writers Block” that was a subset of the Authors’ Headquarters. The area received a lot of foot traffic that was consistent and non-stop. It was established in 2016 is growing stronger with each year. And, yes, I was surprised to discover this even after Orna’s reassurances. But, there it is. “Publishing is at the epicenter of digital disruption.” Paul Michelman, MIT & MIT Sloan. Indie Booksellers continue to experience healthy growth at a rate of 5-7 percent for the past several years and this trend is expected to continue. Adipat Virdi, Adipat is a writer/producer. He has worked on various films, TV series and plays, and designed and run the BBC Future of Content think tank across 50 BBC teams. Click here to read Chanticleer’s article on Immersive Fiction by Jessica Morrell and Kiffer Brown. “Worldwide English language fiction consumption has never been higher.” Amanda Ridout, publisher Boldwood Books (formerly with HarperCollins, and Phaidon). The best selling book for 2018 was the runaway top seller Michelle Obama’s Becoming (PRH) with 3.4 million in sales in 2018 despite its late November release date. 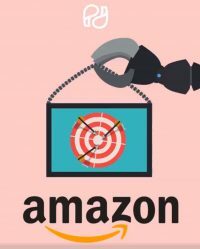 Rights and Licenses across all formats, including print, digital, audio, film, and television are up because of the impact of streaming services (think Netflix, Amazon, etc.) on Hollywood’s appetite for literary materials. Expect another year of double-digit growth in audiobooks.